ChiaoGoo Stainless Steel products are made of high grade stainless steel. 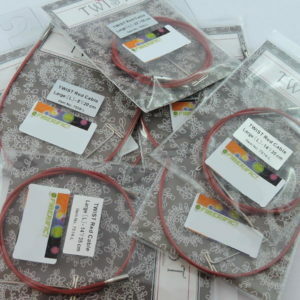 They have a nice smooth, satin sheen that won’t reflect any light making it hard to see your work. They are lightweight and strong! Please note 4″ Small Sets come with 2 x 20cm 1 x 35cm and 1 x 55cm cables. 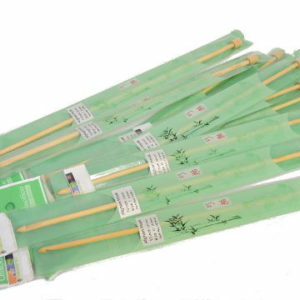 Complete 4″ Sets get 2 x 20cm, 1 x 35cm and 1 x 55cm cables in both large and small connections. 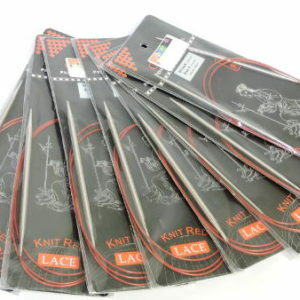 Small set :2.75mm, 3.25mm, 3.5mm, 3.75mm, 4.0mm, 4.5mm, 5.0mm, small ended cables in 35cm, 55cm, 75cm, set includes small cable connector, stitch markers, small end stoppers, keys and a needle gauge. 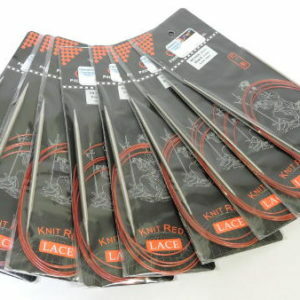 Large set: 5.5mm, 6mm, 6.5mm, 8mm, 9mm, 10mm Large ended cables in 35cm, 55cm, 75cm, set includes large cable connector, stitch markers, large end stoppers, keys and a needle gauge. 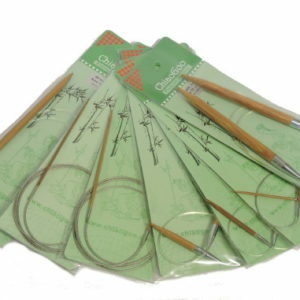 Compelete Set: All needles and cables as above and stitch markers, keys and a needle gauge. 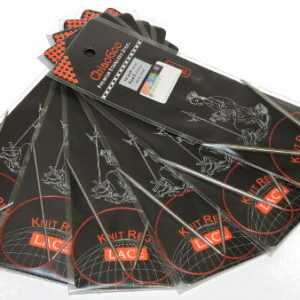 I do a lot of lace knitting and my ChiaoGoo needles are perfect! The cables simply do not twist and I have never had a tip come loose. My other brand of interchangeables have been put aside and all my knitting is done with ChiaoGoo. Love them! 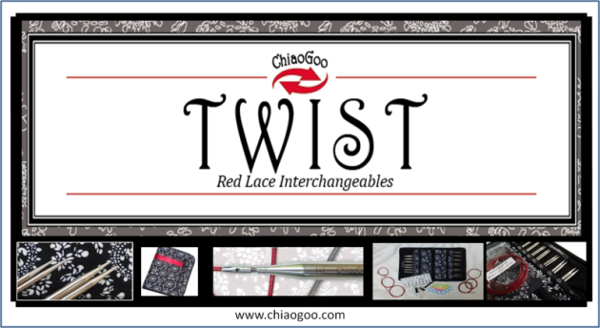 Absolutely love my Chiagoo Twist interchangeable set! 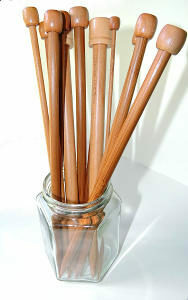 They are so versatile and I enjoy knitting with them immensely! The tip is sharp but not too dangerous, and the cable is fantastic as it rarely bends or kinks. I love that you can also adapt the sets to include some of the small and large sizes also! Thank you Josey! 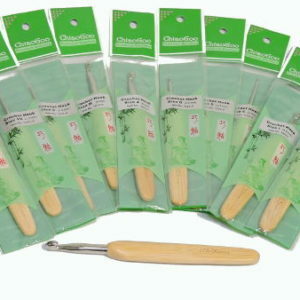 I am so glad you love your tools!! 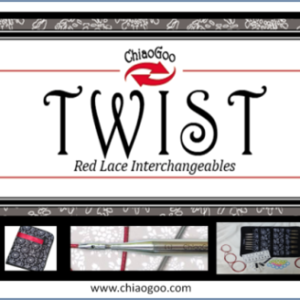 I have had my ChiaoGoo Twist Interchangeable set for a couple of weeks now. 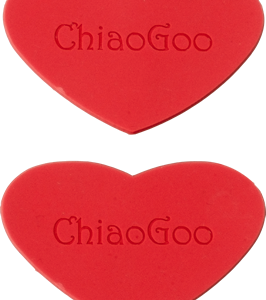 I have two other sets of interchangeables and the ChiaoGoos are far and away the best. I am using 5.00mm needles and the join between cable and needle is still smooth with the stitches moving freely. 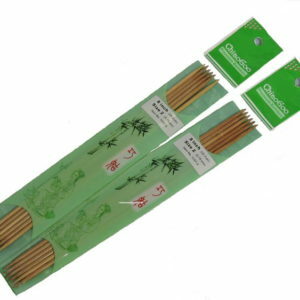 The cable does not kink, the tips are sharp and the metal needles are smooth and feel great to use. 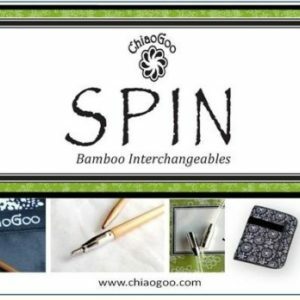 Loving my ChiaoGoo Interchangeable Twist – 4″Tips Small. 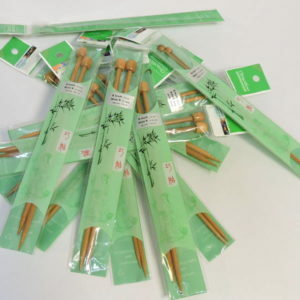 After days of researching needles online, ChiaoGoo had the best reviews overall. 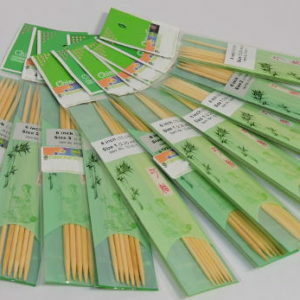 The You Tube videos by Fiberific (Chantelle) were the most informative and fun to watch and thanks to Fiberific’s large range of ChiaoGoo (and not to mention the best prices I found online), I now have a woderful set of needles with extra cables, extra tips – bamboo & steel (4″ & 5″) and other bits and bobs. 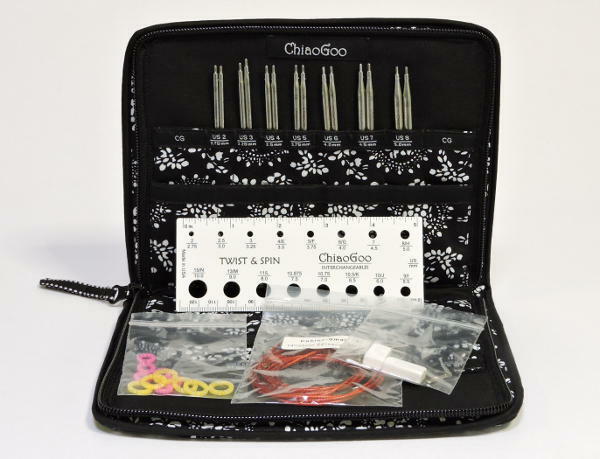 It is so true – quality needles really make a difference and having a set that is so versatile is fantastic. Well worth the investment.